I looked, and behold, a white horse. Bluetech returns with new music after a 2 year hiatus from production and releases. Though known for his digital production techniques, he has rebuilt his studio from the ground up with analog synths, pedals and a eurorack modular synthesis rig, resulting in a richer tonal palette and an invigorated and retro-futuristic take on the Bluetech sound. Taking a cue from classic electro and synthpop while still maintaining a modern production aesthetic, these 5 new tracks are filled with bubbling analog arpeggiators, vintage drum machines processed to a sci-fi sheen and Bluetech’s signature melancholic melodic leads. “The White Horse” is the first release in a series of 4 EPs referencing the Biblical bringers of the Apocalypse. 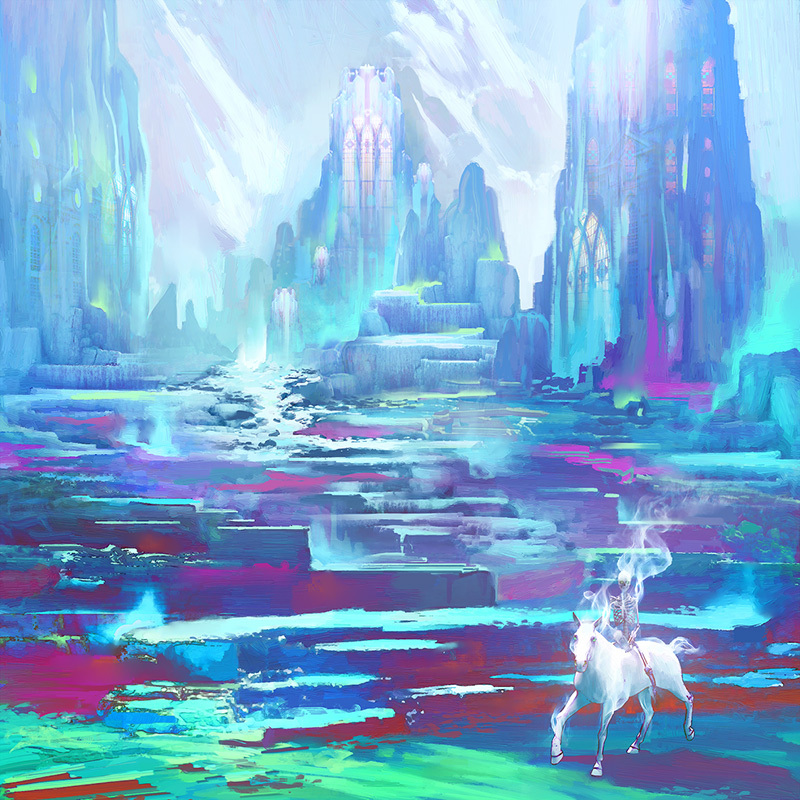 Drawing inspiration from the classic fantasy art of Moebius, Beksinki and Syd Mead, “The White Horse” dances around eschatological tropes with tongue firmly placed in cheek. Featuring gorgeous artwork from concept designer Justin Totemical, each release in the series will present a facet of the visionary prophetic current culminating in a double vinyl LP release featuring all four artwork panels in proper large format glory.